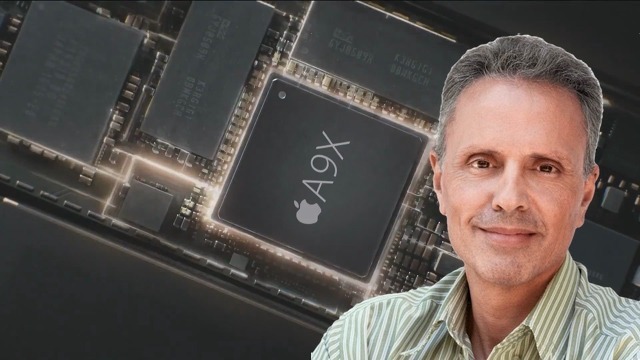 Johny Srouji is credited for being on the team developing the A4, Apple's first custom System-on-Chip. Intel has been searching for a replacement for previous CEO Brian Krzanich since his resignation in June 2018, but has so far failed to uncover a potential suitor to lead the company. The board of directors have passed on many candidates, but as the pressure to identify a new chief ahead of its earnings on January 24 grows, the list apparently still includes some candidates that have yet to be taken out of the running. Previously unreported as a candidate for the job, Johny Srouji is alleged by Axios to be still in contention for the role. It is unclear how many candidates are remaining, nor is it known if Srouji is one of the front-runners in the race. The SVP of hardware technologies at Apple, Srouji joined the executive team in 2015, and has contributed to a number of major technologies that made Apple's devices powerful and groundbreaking products. Srouji's original role at Apple helped spearhead the development of the A4 processor, the company's first custom-designed System on a Chip, as well as the creation of the first Touch ID fingerprint sensor, among other projects. Srouji has previous experience with Intel, having worked for the chip maker at its Israel facility from 1990 until 2005. While the fortunes of Srouji are unknown reports have suggested there have been quite a few potential candidates that are no longer being considered for the job. Those out of the running are said to include former Motorola CEO Sanjay Jha and two former Intel executives, identified as Renee James and Anand Chandrasekher. Intel currently has Chief Financial Officer Bob Swan operating in the role of interim CEO while the search continues, with Swan reportedly not currently a candidate for the position.